It has been said of our Jackie Wilson Impersonator #1, "To take music from him, is to expel his soul from his earthly frame, for it is a vital function for this song and dance performer." Watching this dynamic entertainer is sheer delight, as he energizes every moment on stage. His creativity and high-energy performance in award-winning live tribute show "Legends In Concert" is magnificent as he glides easily through his five octave range. Wonderful is the word for his tribute to Stevie Wonder. From "Signed Sealed, Delivered" to " Superstitious," he presents a happy homage to the man who made "I just Called to Say, I Love You" and other famous popular songs famous. Although a native of South Carolina, he considers Hawaii (where he worked with Waikiki's most foremost 1950's act "The Love Notes") home. He also toured with his own one man show internationally, most recently in Australia, where he met soulful Michael Bolton. A virtuous musician and singer, he plays both guitar and piano. He studied Media Production and Electronic System at U.S.C. before he began his career as a performer. He is recognized songwriter whose original songs are used by Columbia Records to promote new artists. He was encouraged by friend "Paul Revere and the Raiders" to portray Stevie Wonder. 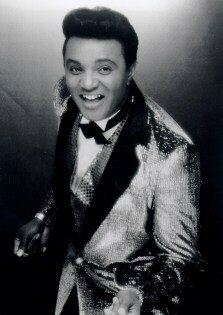 He has also received accolades for his impersonation of Jackie Wilson, which he has done in "Legends In Concert" as well. Audiences and critics alike laud his talent and showmanship. You can bet that whatever he does, he puts his "heart and soul' into it.